Yes, I’ve been around long enough to remember when televisions were not yet a consumer item and radio was the principle source of home entertainment. One of the programs my mother listened to was Grand Central Station, a popular show that ran from 1937 to 1954. This wasn’t a soap opera like Our Gal Sunday, The Romance of Helen Trent, or The Edge of Night, which mom also listened to. But, as Sam Roberts points out in his book, Grand Central, there was no such thing as Grand Central Station when that show was on the air. 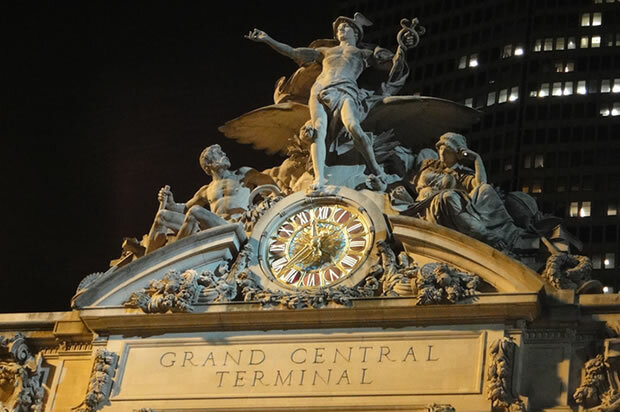 By then, the original structure, which was called by that name for a time, had been displaced by Grand Central Terminal, the one that now stands at East 42nd Street and Park Avenue. The difference is that trains originate and end at a terminal; they don’t pass through. When the first rail facility was built in that location in 1871, it was known as Grand Central Depot. That place wasn’t up to the job to begin with, and after a clumsy expansion project at the turn of the 20th century, it was known for a couple of years as Grand Central Station. But a fatal train accident in 1902 prompted railroad officials to tear down the station and start over again, and the result was the monumental terminal that is now the centerpiece of midtown Manhattan. The complex took ten years to build; it occupies 17 acres. By the 1970s, both midtown and the terminal had substantially deteriorated, Grand Central reduced to a sanctuary for homeless New Yorkers and a pest hole for commuters to get in and out of as quickly as possible. The terminal wasn’t paying for itself, and there was talk of demolition. Enter some folks with a little more vision — including, not insignificantly, Jacqueline Onassis — and Grand Central was in for restoration instead. This book, which was published to coincide with the 100th anniversary of Grand Central Terminal, is an elegant volume loaded with photographs to embellish Roberts’ witty and vivid writing. 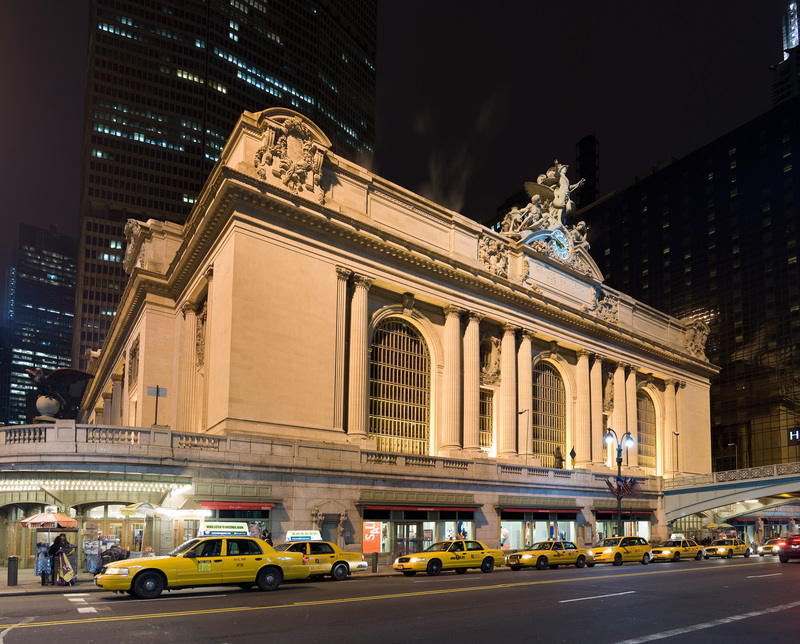 Through the story of Grand Central, we learn about the evolution of rail travel in and out of, and within, the New York metropolis, and about the development of midtown — development, and re-development, for which Roberts writes, Grand Central has been the principal catalyst. It’s also a story of people: robber barons, politicians, engineers, and presidents, but most importantly it’s about the millions and millions of people who have passed through the terminal in haste, in sorrow, in joy, in confusion, and in fear. New York likes to call Times Square “the crossroads of the world,” but in a more literal sense, that title might belong to Grand Central. 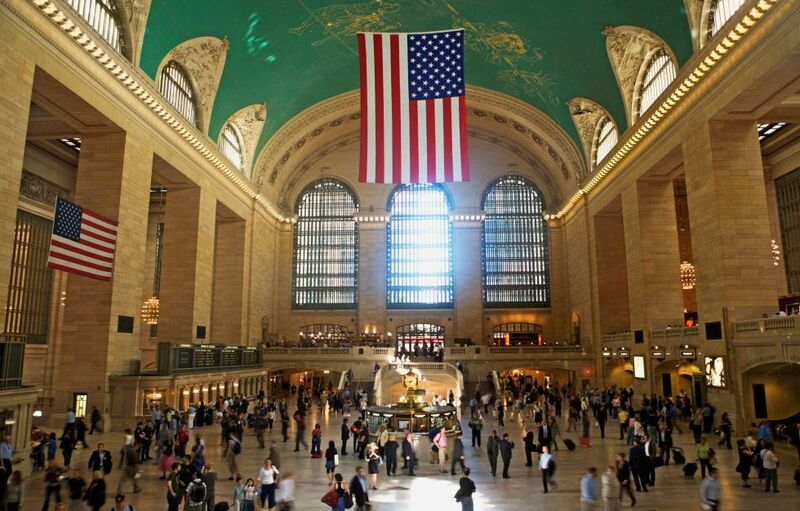 You can hear an episode of Grand Central Station at this link. There’s so much of interest here. I’ve never thought of the functional difference between a “station” and a “terminal”, for example. My aunt and uncle, who lived on West 16th, always talked about Grand Central Station, and I’ve always called anything connected with a railroad a “station” or “depot”. I was surprised by some of the history, too. In my mind, Grand Central always has been just that – grand. I would have been in Grand Central several times in the 1970s, and I don’t remember it as being anything but marvelous. I suppose part of that was being an impressionable kid from the midwest.